Fico di Amalfi is the latest release from Acqua di Parma's Blu Mediterraneo line. The fragrance features notes of tangerine, bergamot, lemon, grapefruit, cedar, fig nectar, pink pepper, jasmine, fig wood, musk and cedar. Fico di Amalfi starts with dry, very tart citrus. The fig comes on as the citrus settles, but it is subtle, considerably more so than in my all time favorite of favorites (in the fig category, that is), Diptyque Philosykos. 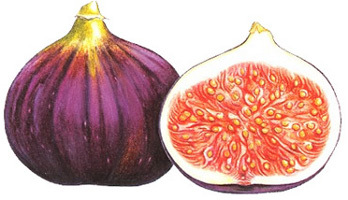 As in Philosykos, the fig is dry and woody, and does not have a particularly foody feel. Fico di Amalfi is a bit less green, and has a nice kick of pink pepper over the woody base. In keeping with the rest of the Blu Mediterraneo line, it is a sheer fragrance, perfect for summer or for anytime that a heavier fragrance is not appropriate. Given that I have so many fig fragrances in my collection already, I figured that Blu Mediterraneo would have to do something very impressive with Fico di Amalfi in order to induce me to buy another. That hasn't happened. Fico di Amalfi is very nice, but it is awfully similar to Hermès Un Jardin en Méditerrannée, enough so that I can't see owning both. Un Jardin is a bit lusher and fuller, Fico di Amalfi is a bit drier. Both are unisex, and both smell woody, but Un Jardin is heavier on the cedar. The Hermès wins in the lasting power department, but neither are stand-outs in that regard. As it happens, I like the Hermès better, but that is just a matter of personal taste. I would certainly wear the Fico if I had it. Fico di Amalfi is an Eau de Toilette, and comes in 60 or 120 ml bottles. It is available now at Neiman Marcus, and will presumably be sold at other Blu Mediterraneo retailers eventually. Matching bath & body products and a candle are to follow later. Note: the 'Two Figs' coloured pencil drawing is by botanical artist Ann Swan. Hmmm…have you tried the Susanne Lang? I wish I could remember it better. It is definitely sweet & rich, but might be much greener than you'd like. Thank you, R! That's an idea. Lang blends everything with vanilla, so that might work! Lovely review! I enjoyed it much more than Fico di Amalfi. My favourite figs are Un Jardin en Méditerrannée and MJ for Men. Hello, everybody! I haven´t tried yet Fico D´Amalfi, but if it is similar to Un Jardin en Mediterranée, I will probably like it. And, given that Hermés is discontinuing this scent,…Fico dÁmalfi could be the solution!..I already have Arancia di Capri and Mandorlo di Sicilia, I like them very much. I sampled Fico (just on a card) and I like it more than Philosycos, because it's much softer. The softness reminded me actually of the redfruit note in Jo Malone's Wild Fig & Cassis. Though I don't think there is any redfruit in Fico. I wonder where the softness comes from, maybe white musk? This is going to sell very well IMHO. Thought of another, but not sure it is still made: Creative Scentualization Perfumer's Palette Fig. It is meant to be layered. Really, V, you like those better than Philosykos? Or Premier Figuier? I keep forgetting that the Un Jardins from Hermes are meant to be limited editions! I am really doubting that they will discontinue Sur Le Nil though, it is apparently selling very well. N, I wonder if I will ever tire of Philosykos? Hasn't happened yet. Even then, you know my feelings on using nice perfumes as room sprays, LOL! M, I love Premier Figuier Extreme, PF regular a bit less, neither as well as Philosykos. The PFE is a more feminine scent though. One of these days I'll do a proper review. I think Mediterranee was a limited edition, so perhaps not accurate to say they are discontinuing it…but as I said above, I have a feeling Sur Le Nil will end up joining the regular line. I think that is right, they are going to be seasonal limited editions. In the US though, Mediterannee can still be found at the online discounters. Agree it is much softer than Philosykos, and yes, also agree that it will be a good seller! Somehow or another have never tried the JM Wild Fig, will have to do that. If I know people would not mind half bottles – they do tend to go to loving homes. Have a good weekend dear R! I just purchased the Fico de Amalfi candle and am very pleasantly surprised by its scent. I've been trying to compare the candle with a sample of the Fico EDT, but in my opinion, there's not a strong correlation. The candle has very warm, woody and distinctly fig undertones that surface only momentarily in the EDT. Philosykos has been my trademark fragrance for a number of years, and I've yet to find another fig fragrance I like as much as Philosykos. I highly recommend the candle in the Fico line, however. It smells nothing like any other fig EDT's or candles I've tried (which is a lot). The Henri Bendel Fig candle is also very good, but the undertones are musky rather than warm and woody like the Fico. I prefer both the HB and Fico candles to Diptyque's Figue candle, however, the latter being a single (but beautiful) note without much throw. Thanks so much, I haven't tried any of the Blu Mediterraneo candles but that sounds lovely — I am a huge Philosykos fan too, in the EdT and the soap. Robin, I only recently found your blog but had already noted from your reviews that you like Philosykos a lot, so I'm guessing that I would be likely to enjoy other fragrances that your nose finds pleasing. There are very few fragrances that I can actually wear for more than 10 minutes without getting a headache. Do you have a list of your all-time favorites or “top ten” somewhere? I really don't keep a top ten — it would change too often, and I have a hard time narrowing things down. Can you tell me a few others you like, and I'll see what I can recommend? I like Jo Malone Wild Fig & Cassis but don't like the dry down on L'Artisan Premier Figuier and PF Extreme at all. Before wearing Philosykos, I wore Bulgari Eau Parfumee Extreme and Au The Vert, and before that, Fidji by Guy Laroche. That's pretty much my life in scents, unless you want to count Windsong from the teen years. I just sampled some L'Artisan Bois Farine which may have potential. And his listing is near the end of the page. His Jardin en Mediterranee for Hermes is also figgy, so might be a good place to start. Thank you so much for your comments, Robin. I find it very interesting that Bois Farine and the Bulgari The Vert and Extreme are all Ellena's creations. I'm not sure I would have uncovered that common thread on my own. As it happens, I already ordered a bottle of the Un Jardin en Mediterranee a couple days ago after reading your review, and I can't wait to try it out. It's obvious that, although I'm enjoying and learning a lot from you and your blog, it's going to be an expensive relationship!